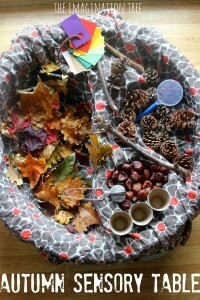 Set up a beautiful invitation to create using all natural materials gathered on a walk together. A lovely art activity for Autumn or Spring, perfect for busy toddlers and preschoolers as a first experience with collage. 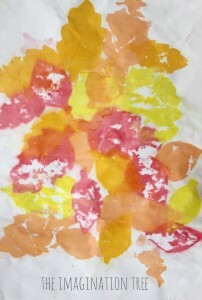 Collage art is one of the best first art experiences for preschoolers and toddlers and should be repeated often in various formats, using a wide range of materials. 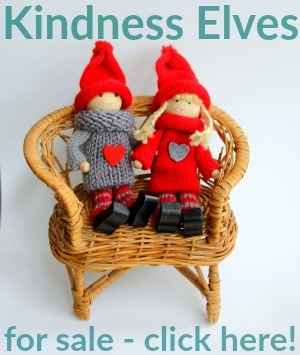 It is particularly good for little hands as it involves picking, sticking, tearing, ripping, snipping and glueing, all of which are vital fine motor development tasks to strengthen and refine small hand muscles. 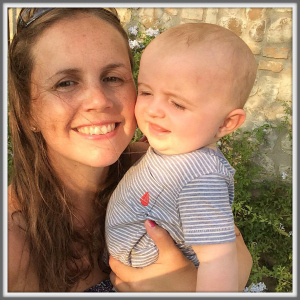 Simply put, the better the motor skills, the confidently your child will be able to draw and write when the time comes, and their body will be able to keep up with that quickly developing mind! In Autumn and Spring time there’s an extra abundance of wonderful, natural materials to incorporate into play, learning and craft activities. 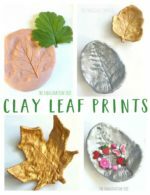 Any time we step outside the house, even where we live in the city, there are leaves and petals ready to gather on our walk to and from school, and a visit to the park opens up a treasure trove of possibilities for collection. 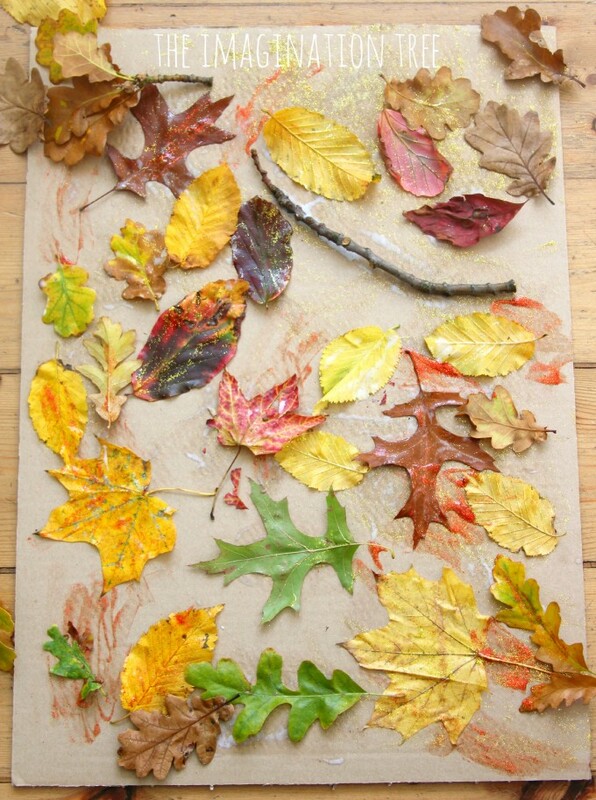 One very simple art activity, especially good for Autumn, is to make a simple leaf collage using recylced materials and glitter glue. 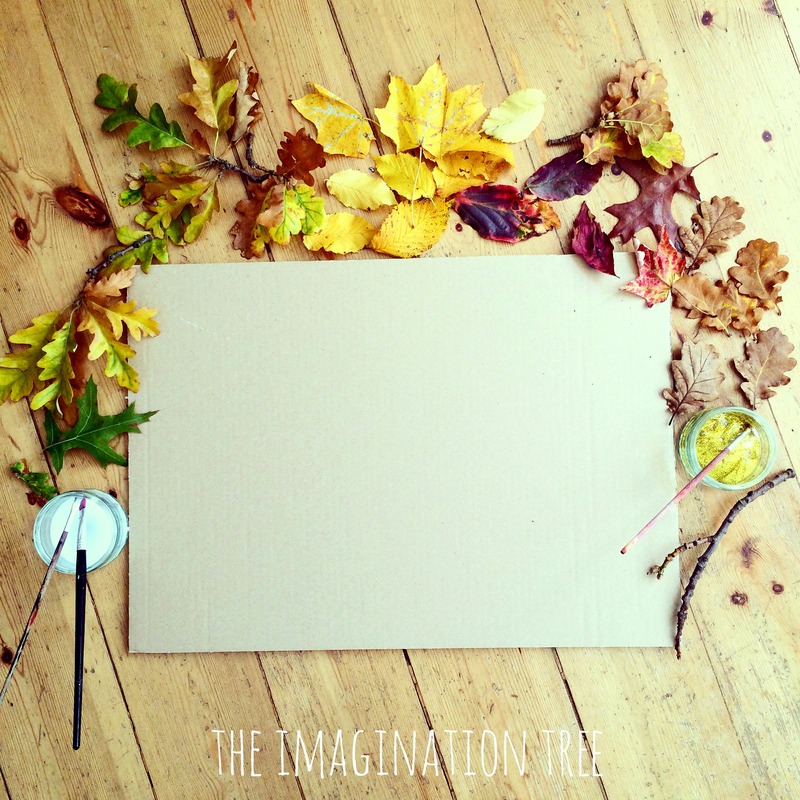 We set out an invitation to create using leaves and twigs collected at the park, alongside a large piece of a cardboard box, some white PVA glue and a pot of gold glitter glue. The kids later added some crayons and oil pastels as they wanted to incorporate their own embellishments too. 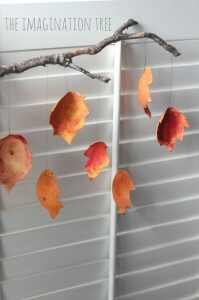 After sticking every leaf on, between the three of them, they washed over the whole picture with the gold glitter glue. It’s hard to see from the photos but that top layer made the whole finished art work sparkle and shine, plus it allowed the leaves to dry hard and shiny, thus preserving them for some time. When it was completely dry we placed it in the fireplace to display it for all to see! 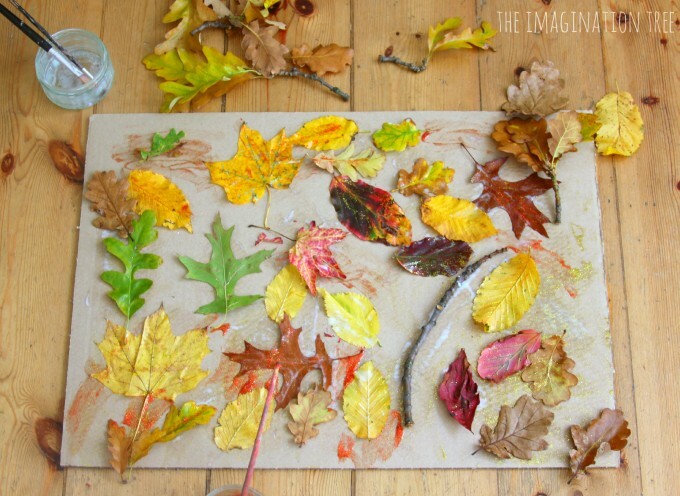 This would make a lovely collaborative art piece for a class or small group to work on together and to add to an Autumn display! 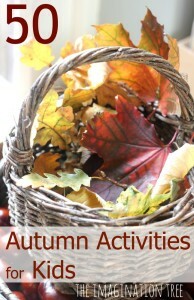 See all of our AUTUMN PLAY and LEARNING ideas here. Here are 50 to get you started! 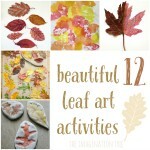 Follow my AUTUMN THEMED Pinterest board for more ideas too! Follow Anna @ The Imagination Tree’s board Autumn Play and Learning on Pinterest.